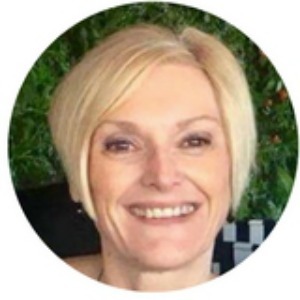 Today’s guest post is by my friend Sue Loncaric, the blogger behind Sizzling Towards Sixty. Her blog touches on a number of topics related to wellness in midlife women. Sue is such a positive person! She is an encourager and great example of not letting age stop her from being her best. Check out her #couchpotatotofabfit community on Facebook where she encourages and inspires midlife women on their fitness journey. Sue is a big proponent of working out in community. Her post today is: 5 Reasons Why It’s Better To Workout In A Group. Keeping fit and healthy as we age can become a bit of a chore. ‘It’s too hot, it’s too cold, I don’t have time’ – Have you used any of these excuses? 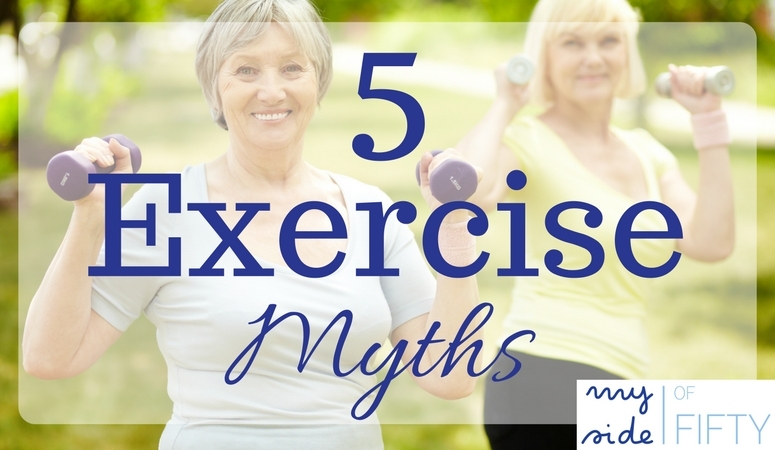 I’m sure we have all used one or two to excuse ourselves from exercising regularly – even though we know it is good for us. Motivation is a huge factor in maintaining a regular exercise program and I’ve found the best way to get started or back on track is to workout in a group. Each Saturday I run with a group of ladies. We call ourselves the Saturday Sisters and we have been running together for about 5 years. We usually plan a few fun runs during the year and work towards training for those. Working out in a group will keep you fit, healthy and enjoying life. 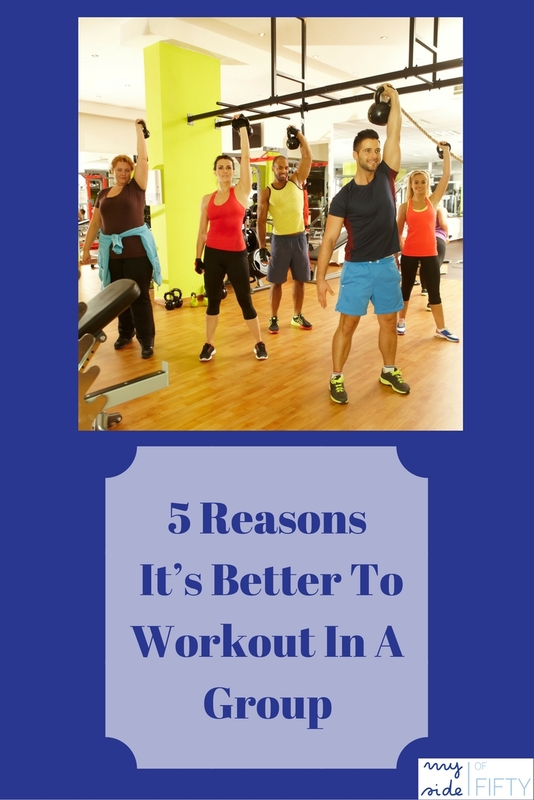 Here are my 5 Reasons Why It’s Better To Workout In A Group. As I mentioned above, this is the single most important factor in starting or re-starting your exercise program. It can be so easy to put off until tomorrow. However, if you are part of a group OR you have an exercise ‘buddy’ you are more inclined to exercise because you have made a commitment to someone else. Regularly attending a group session can lead to new friendships. I know that I’ve made some wonderful friends through exercise – especially my Saturday Sisters. I met these lovely ladies through my daughter and we have formed a very special bond. We not only run together but we are there for each other. We have laughed, cried and vented during our 1 hour run each week. Feeling part of a group can be good for your mental health. You have the opportunity to socialize with others and have fun. Exercising is great to relieve stress and certainly lifts your mood. What better way to do this than being part of a group? Don’t feel like going? Not in the mood? Struggling to keep up? Being part of a group or community will provide support to keep you going when the going gets tough. Exercising with others enables you to encourage each other to achieve your fitness goals. 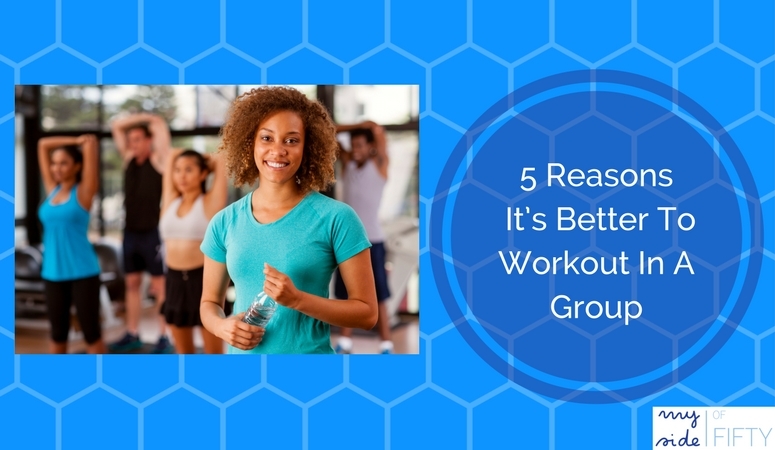 Workout In A Group Reason #5 – It Is FUN! Being part of a team, group or community can be fun. If like me, you enjoy running, you can all train for fun runs together. Why not train for a 5 km walk? If you are in a walking group you can arrange to go to different places for a walk and then a social event. There are so many groups that you can join and some are for free. If you don’t want to join a group, grab some friends and go for a walk before you have your catch up coffee. The secret to keeping fit is to find something you enjoy doing rather than something you have to do. This is a HUGE running club in my area that caters to walkers and runners of all levels. I did their beginner program – the Couch to 5K program. Every Saturday, we met with our beginner group and did a walk/run together. We had mentors walk/run with us who spaced themselves out in the group so that everyone had a coach/mentor/encourager with them, so matter how fast they were. As you might imagine, we started out with more walking than running and over the 10 weeks slowly progressed to more running that walking. At the end of the 10 weeks, we all participated in a 5K. Don’t think you can run a 5K? No worries! Many of us do a combination of walk/run. I met some great ladies through this group and NEVER felt like I was too old or too slow. It was all about doing your best and progressing on your fitness journey together. If you are in the States, you can find a running club in your area here. Have you ever seen the Crossfit Games on TV? Well, that is NOT what your everyday Crossfit Workout is like. Crossfit builds strength and endurance over the long haul by focusing on the movements you need to get through life – lifting, squatting, pushing, pulling. You get a combination of weight training and cardio in every workout. It looks hard. It is challenging. But every workout is scalable meaning that you only do the amount of weight and reps you can do for your age, fitness level and ability. All movements can be modified. The best thing about Crossfit is the wonderful community of all ages working out together, encouraging each other and cheering each other on. That being said, not all Crossfit Boxes (what they call their gyms) are created equal. If you are considering Crossfit, visit several boxes in your area. Talk AT LENGTH to the owners and coaches. It is important that they have some kind of on-ramp course where you are trained in the correct technique of all the movement before you start with a class. Observe a class. Are the modifying movements for the various levels? Are the coaches working with people individually to make sure they have the correct form? Do the coaches have any other training or experience besides the Crossfit Level 1 Training? I consider by Box, Crossfit Silverback the Gold Standard of Crossfit Boxes. All of our coaches have several certifications and are continually learning. Safety is of the utmost importance, so you won’t see anyone lifting weights that are too heavy for them or pushing themselves beyond what they are capable of. Before you start with a class, you take 5 sessions of personal training so that you have the foundation you need. And the community is so fun. I started Crossfit at age 52 with pretty much NO fitness background. 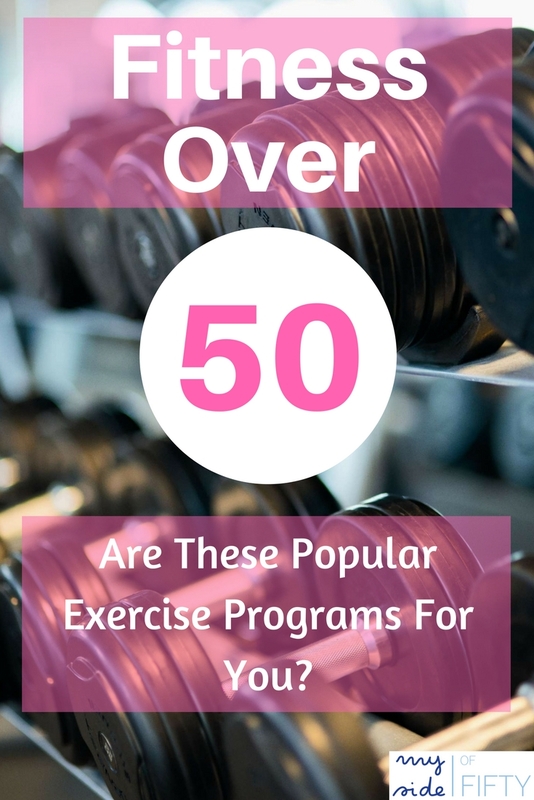 You can read about my experience in 5 Lessons Learned As A 50+ Crossfit Competitor. And a little about why my Crossfit Box is so fun: Fireball Balls | A No-Bake Cookie With Fireball Cinnamon Whiskey. Find a Crossfit Box in your area here. Orange Theory Fitness is a chain with locations all across the United States. Each one-hour workout has a circuit that alternates between cardio and strength training. Participants wear a heart rate monitor that tracks how hard you are working out. Exercises alternate between a treadmill, rowing machine and the strength floor where you do a combination of exercises with bands, hand weights and your body weight. All the exercises can be modified according to your ability and fitness level. The sessions are led by trained and enthusiastic coaches. It is a highly energizing atmosphere and lots of fun. Find an Orange Theory Fitness location near you. This sounds like the perfect scenario! Women who can find this kind of group are lucky, indeed. Working out with my PT and running with my Saturday Sisters helps keep me going Carol. Much easier than on my own. Thanks Tracy! My Saturday Sisters are not just my running buddies they are my closest friends. It is a great combination Fitness and Friendship. I joined a workout group about 2 months ago and it’s been great. We wear heart monitors and each session always focuses on something different. I’ve also been walking in my neighborhood every day for years up and down hills. I applaud you running. You sound like you have started 2017 in a positive and healthy way Rebecca. I love my Saturday Sisters and I like the idea of your group which focusses on something different each session. You go girl! I’ve been training Muay Thai Kickboxing for 10 years. My training partners are my second family. Training buddies do become family don’t they Peggy. That is one thing I love about training with others. I work out in group fitness classes at our local YMCA. If I am working out by myself, I am much less likely to really push myself. In a group with a motivating instructor, I generally push through to get the most out of the workout. That is so right Mimi and work much harder for my PT who really knows how to get the best out of me and also with my Saturday Sisters we keep each other motivated. I have to agree with these points! As much as I’m a motivated person, it’s just more fun with others! That’s the added benefit apart from motivation Jodie – having fun with others while you keep healthy. Great post as always Sue. Having a partner for support and accountability helps a great deal! Enjoyed your input too Cathy! Thank you two for partying with me at my very first Wednesday AIM Link Party. I shared this post on my social media sites. Interesting. I’ve always been a lone wolf when it comes to workouts, but I’m thinking perhaps I should join a class a couple of times a week. It’s always good to mix it up. But as long as you are getting your workouts it, you are doing great! I have always been someone who likes to workout alone, but all these classes sound like so much fun and it would be motivating. Especially if the group counts on you , you wouldn’t want to let them down-as well as yourself! Hey – everybody is different. As long as you workout, you are doing great! Motivations is so huge. I know when I workout with a friend I am so much more likely to get up and work harder, or run farther because I don’t want to slow them down. I have heard really good things about Orange theory fitness. Orange Theory was fun. I’m trying to get back into Crossfit. I do so much better in a group! I have absolutely no idea if it’s personality or age 🙂 but I hated workouts until the past year! I definitely need to find a workout buddy for your #1 reason: motivation! It’s just too easy to slack off exercise (for which I am the poster child). thanks for this! It sure is much more fun working out in a group, yet I still find it so fulfilling working out alone as well! Thanks for sharing at the Pit Stop! Working out is great no matter how you do it! Great for your physical and mental health! I love the idea of the Saturday Sisters! The thing stopping me from running with a group is that I’m always worried that I’ll hold them back. Kat – when I was part of a running club, we had a beginner group that started with walking and gradually increased to running. I run some, but am SO SLOW! You can find a group that never leaves anybody behind! Good luck!